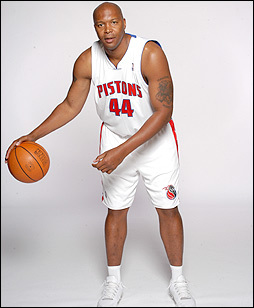 Former NBA number 1 pick Derrick Coleman filed for bankruptcy in 2010. The number of personal bankruptcies exceeded 1.5 million last year, as unemployment rates and depressed home prices drove more households to seek court protection. Personal bankruptcies ticked up 9% from 2009, the highest level since a revamp of the law took effect in 2005, and rose 25% in California. The other areas of increase were the Southwestern states and the Southeast. In Arizona, they rose nearly 24%. Some experts think 2011 could see the beginning of a downtrend in bankruptcy filings as the economy improves and consumers borrow less. “Over the course of the year, I think bankruptcies will be going down,” said Robert Lawless, a University of Illinois law professor. “The reason for that is borrowing’s down…there’s less of a reason for people to take the legal step of filing for bankruptcy.” The unemployment picture has not improved though in 2010 so although people may be borrowing less, they aren’t making more. Derrick Coleman (Former #1 pick of the NBA draft) filed chapter 7 bankruptcy in March 2010, saying he owed his creditors nearly $4.7 million. He listed assets of just $1 million. Toni Braxton (R&B singer, who has sold over 40 million albums) filed chapter 7 bankruptcy in October 2010. This was her second filing, as she previously filed in 1998. She listed debts of between $10-$50 million and assets of between $1-$10 million. She stated she would like to keep her home, which she owes $1.6 million but is worth only $1.2 million. She wants to work out a modification. Antoine Walker (Former NBA All-Star) filed chapter 7 bankruptcy in May 2010. Even though he made $110 million in his career, he listed his assets at only $4.3 million. Mark Brunell (Former NFL Pro-Bowl quarterback) filed Chapter 11 bankruptcy in June 2010. He earned over $50 million during the past 10 years, but failed real estate investments forced him to file. Dermontti Dawson (Former NFL Pro-Bowl offensive lineman) filed Chapter 7 bankruptcy in July 2010. He listed his assets at $1.42 million and his debts at $69.66 million. See our website at http://www.financialfreshstart.org.